In Hearne, Texas earlier this month, a government employee in a "police" costume shot and killed an elderly lady on her own property. Another report appears here. Stephen Stern has been fired, but not arrested for murder. Why not? 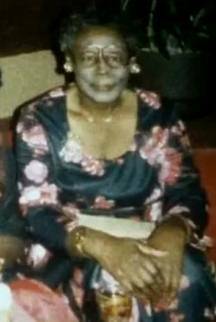 His victim was Pearlie Golden, known as Miss Sulie, and she was 93. Complicit in the killing was her nephew Roy Jones, who had driven her home from a government driving test, which it said she failed. She was, naturally, upset; but having returned home she asked him for her car keys but he refused to return to her that property. Miss Sulie got her gun, as Annie would have done, at which Jones took the fatal step of calling the cops; Stern responded. Some accounts say the grandmother fired twice, into the ground. Stern fired five times, into Miss Sulie. She didn't survive. It begins with the government claim to monopolize the unaccountable use of force, and with the Texas bunch to have title to all the land in that part of North America. The title is bogus, and is based only on that use or threat of force. But they have the de facto power to dictate its use, and they decreed that some of it shall be used for roads, on whose operation they likewise claim a monopoly, and so set universal rules for its use, including a prohibition on anyone who doesn't have one of its DMV licenses. None of those steps of control is needed, and none will apply in the coming free society. Road owners will no doubt establish a form of contract to allow customers to use their property, and some of its clauses will relate to safety. The motivations will be to attract as many customers as possible, and so to please them with a good quality product; but also not to expose them to unsafe driving by others. It will be a balancing act, and if someone drives so badly, so often as to endanger other customers, he or she may well be banned from that particular road, much as a loudmouthed drunk might be banned from a particular store or restaurant. Some road owner may require sight of a certificate of competence to drive, as one of the clauses in such a contract, but once such a certificate is obtained there need be no repetition - for one does not forget how to drive, any more than a cyclist forgets how to ride, or a walker how to walk, or a physician how to treat patients. If some owner becomes too lax in that regard, or alternately too intrusive, he will suffer the consequences of market action - he will lose business to competitors offering alternative routes. Suppose now that an elderly driver does repeatedly cause hazards; the Road Co will contact her and say, we're very sorry but cannot (for reasons A, B, and C) agree to renew your contract. We much regret losing your business, and thank you for your custom all these years, and wonder if we may refer you to our associated limousine service? That should de-fuse the resulting disappointment, but if not, in an extreme case, a security firm might be hired to pay her a visit and explain the importance of keeping other customers safe, and clarifying that the ban will be enforced - using minimum force because otherwise the Road Co would be sued for aggression. That some security firm employee would kill the dissatisfied ex-customer would be virtually impossible, for the market would cause him to be sued for so much as probably to close his business down. Contrast Officer Stern, who lost only his job - and will most likely find another one quite quickly. So, after E-Day, none of the elements in this homicide will be present. No DMV will exist, to plunder the population of $100 every few years for an unwanted piece of plastic that serves only to help government track the payers, nor to require anyone to prove she can do what she has already been doing for many years. No "police" force will exist with powers superior to ordinary members of society, or with near-immunity for harm done. And no bogus property "owner" will impose control over every square meter of land. For how roads may be transferred out of government "ownership" see The Recovery of Stolen Roads. For how land and other property can morally be acquired, see Owning Land. For how wrongs will be righted in a zero government society, see Justice. And of course, to see how to realize all those, see How We Can Get There from Here.